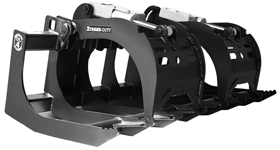 Xtreme Duty Root Grapples designed for skid steers and tractor loaders with 51-150 horsepower. 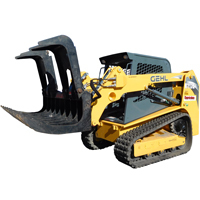 These attachments are ideal for removal of debris such as rocks, roots, as well as general site clean-up. Rear hitch is designed to match host machines. It is designed for skid steer loaders and tractor loaders with 51 – 150 horsepower. 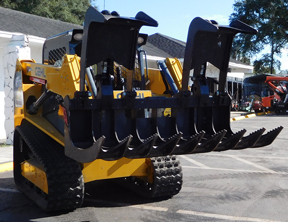 This attachment is ideal for harsh environments, clearing brush, the removal of debris such as rocks, roots, as well as general site clean-up.